Thys type of item and decoration did not yet exist in the 13th century. 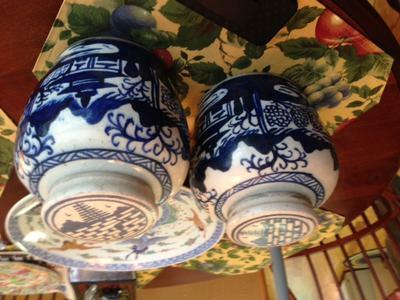 If authentic, this could at the most be late Qing dynasty. I would not buy them. Even if late Qing they are still expensive. Next time try to get pictures (close up, partial) of bottom, decoration and neck, lid removed. It tells more. The blue color and decoration could also make it a 20th century copy.